Sneaky, Hyde, Pokemaniac and 3 others like this. That, my friends, is a surprising announcement. Edward M, Pokemaniac, peep and 2 others like this. Just how the have they managed to fit it in. Just how. Well, seems like I'm going to visit Sweden this and next year! Watching the construction of that is going to be interesting~! Look at that brake run! That's some tight design constraints! Oh Sweden you marvelous, marvelous country! What's in the space that this will occupy? Found this photo which suggests trees but I thought I remembered there being just car park behind Insane? Wow. Best of luck to them, that looks amazing. Behind Insane is an area with side games and the Dodgems, there's also a Biergarden, the tight helix in the render on the right will be just on the edge of Grona's property before the road, the car park is on the other side of that road. 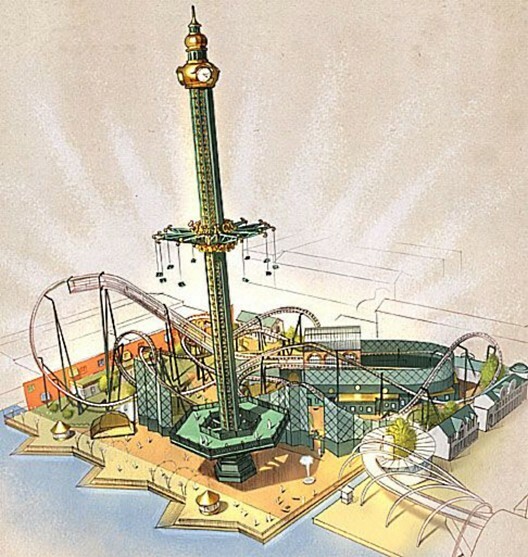 The render makes it seem that the Dodgems(Radiobilarner) is being removed, as that's where the drop looks to be, and the lift hill goes up over the Biergarden, with supports in and around it. I wouldn't be surprised to see that be redone as I can't imagine they could put the hardware in with it still there. This is really ambitious of them. To be fair its been on the cards for ages. 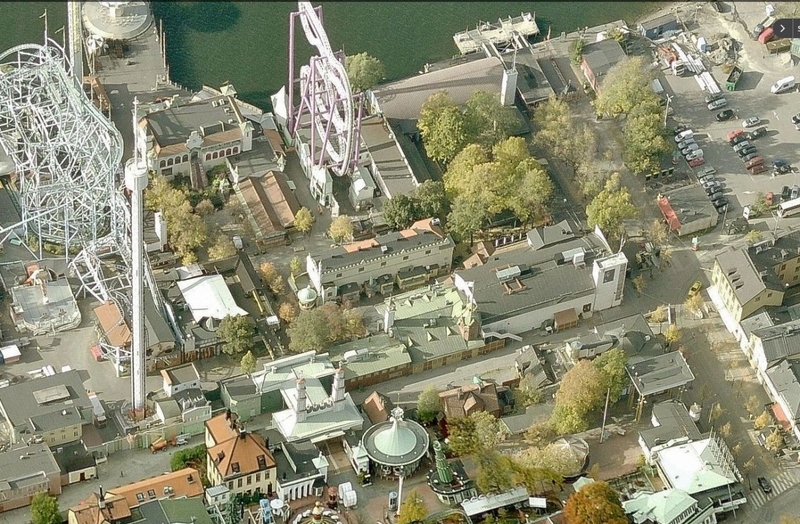 They originally had plans for a B&M invert back in 2008/2009 but the expansion never happened. see relevant thread here. Pink Cadillac, Pokemaniac, peep and 3 others like this. Ahhh good stuff that - we need more B&M inverts in our lives. A nice little tight one with some location constraints sounds great - underground station perhaps? Better not spite the Biergarden though. Sweden just gives so many reasons to keep going back, I love it! This will be an interesting one to follow the construction of. This is just nuts. Yay for Swedish parks being fab. I fell in love with the place last summer and I'm anxious to see how this will transform the park. 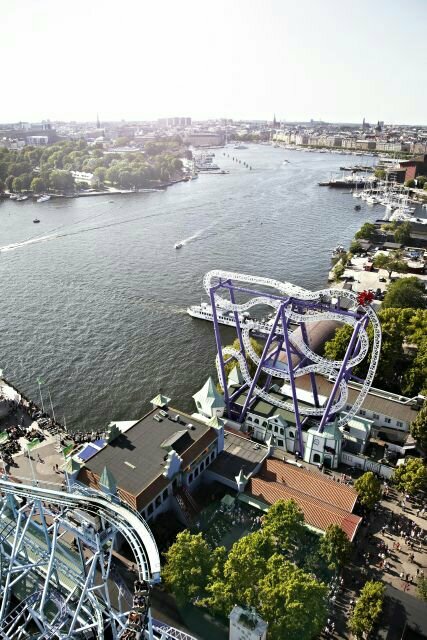 - A bit nervous on one hand, but this is Gröna Lund and I actually really like how they have integrated their other rides - even if it is really tight and compact - so if anyone can make it look great, it's them! It's new for 2020, though. Not this year, not the next one, or the year after that. Talk about announcement far in advance! That being said, I'd love to go ride it! Kalistos, Hallward, mouse and 14 others like this. Wow! A B&M!?! I am well and truly shoqed. Looks like a small layout but it's still packed in 5 inversions. Goes underneath the ground too! I can't describe how insane/ambitious this is. Yet another reason to visit Sweden. That's what they get for letting Parques Reunidos manage their park. They might get a second hand kiddie powered coaster by 2020. I've been in contact with the park. There is very little press material at the moment as the image Chris posted was part of the permit application. If granted, construction will begin in 2018. When more info comes to light, I'll pass it on. 'Tis fab though. ing love Sweden.